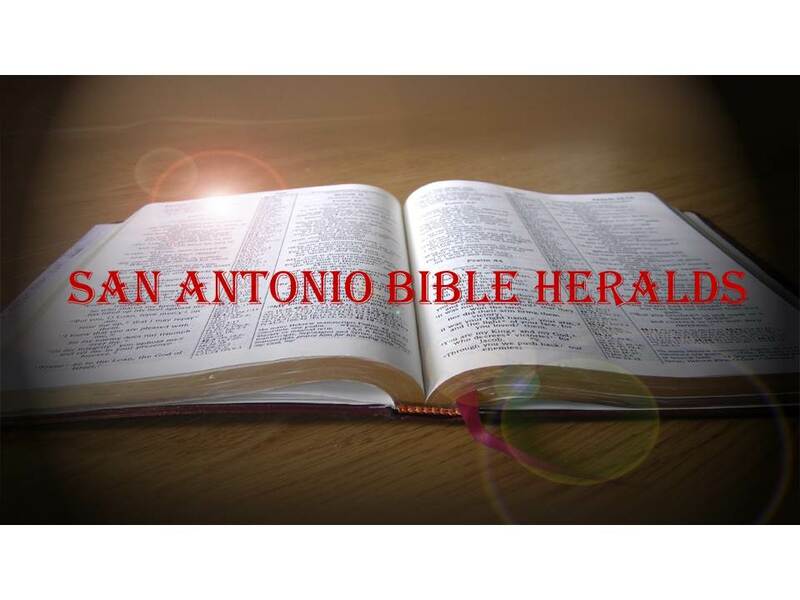 San Antonio Bible Heralds: Happy Reformation Day! The Reformation was based on five “Solas” one of which was “Sola Scriptura.” In homage to that outstanding doctrine, I’d like to present to you, dear reader, a series of two articles that discuss the importance of the Scriptures focusing on the creation story found in Genesis. Genesis forms the foundation for all that is the revelation of God. Without it, the origin of life and what it all means would be lost and we would find ourselves wondering about trying to figure out what life is all about. 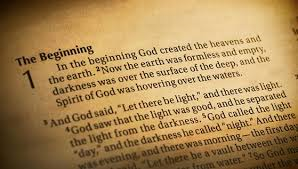 But with the truth of Genesis clearly established, we can then move on to the rest of the Bible knowing that the God who created the universe that Genesis speaks about, is in control of that creation and that nothing happens by chance. As society becomes more and more hostile to the basic tenets of Christianity, many within the church are looking for ways to accommodate their objections. The desire to be “all things to all people” is being taken to extremes today which Paul, who coined the phrase in his first letter to the Corinthians, would not recognize. We see it in the rush to try and defend the so-called “Gay Christian” movement. But none is perhaps as insidious as the desire to abandon the foundational doctrine of the inerrancy and complete truthfulness of the Scriptures. And the reason this is so dangerous is simply because if the Bible, even in some of its pronouncements, cannot be trusted, then what in fact can we trust? In that light, then, we see the challenge of Genesis chapter one as a key in the debate on whether the Scriptures are, in fact, true. Many would like to tell usthat whether we believe that Genesis one is literally true or whether it is allegorical doesn’t really matter. To hear them tell it, we can still be Christians and have the idea that Genesis chapter one simply represents for us an idea of what creation is, but that it really didn’t happen that way. But the problem with that position is that it ignores the effect that such a position will have on the rest of the Scriptures and on the faith of the believer. There are eight foundational doctrines that get their start right there in Genesis chapter one. If Genesis chapter one is not literally true, then the foundation for many doctrines begins to crumble. Let’s examine three of these together this time and five more next time. Genesis One provides a foundation for faith in God. Right there in the beginning, we are told that God is what we have come to believe He is. He is transcendent and uncreated. He is above his creation and is not part of it. He is omnipotent, omniscient, omnipresent and loving. If He is able to create the universe, then He is able to provide for every one of our needs and we can have confidence that He will do what He says He will do. What happens then, if the history of creation is not true? We will then not be sure whether God is what He claims to be. If He has not told us how He brought about the world, how do we know that anything He has told us about Himself is true. The foundation for trust in God and in who He is will suffer a mortal blow. Genesis One is the foundation for faith in Scripture. If the first verse of Genesis is true, then whatever else the Scriptures tell us about God’s work and His miraculous undertakings, can also be trusted as true. A God who creates the universe can certainly raise the dead, heal the sick and, yes, rise from the dead Himself. However, if Genesis one is not true, then we can’t know whether the miracles of the Bible are in fact historical events or whether they are the creation of fertile imaginations who sought to convince others of the truth of their delusions. Indeed, critics of the Genesis account understand the foundation that the first three chapters provide to the rest of Scripture. In their zeal to disprove the Bible and its claims, they attack Genesis for the simple reason that, if they succeed in destroying confidence in it, then they will succeed in bringing down the entire edifice of Biblical revelation. Thus, the thought that we can believe the Bible, but consider Genesis optional is irrational. Genesis One is the foundation for ultimate questions. What does every person on the planet wonder at one time or another: Where do I come from? Why am I here? Where am I going? Every human being has some sense of his place in the universe and a desire to find out why he is who he is and why he is where he is. It is as natural as breathing that a person will want to understand the why’s and the how’s of his existence. That is one of the primary reasons why atheism is such a dead end philosophy. It provides man nothing more than faith in an unknown “chance” that somehow managed to, without having a thinking brain of its own, bring about all of us thinking and feeling creatures. The foolishness of such a thought is self-evident. But if Genesis one is not true, then where do we go for meaning? If God did not in fact create us just as he describes in that chapter, then who did? We will be left without purpose and without aim. Life, in other words, will be empty and meaningless! Stay tuned next time for the conclusion.